The painting of Christine Reifenberger evolves the experience of nature into amorphous currents and figures. In Reifenberger’s work, real phenomena morph into organisms. Her figures become streams of consciousness bordering on the surreal and approaching the grotesque. 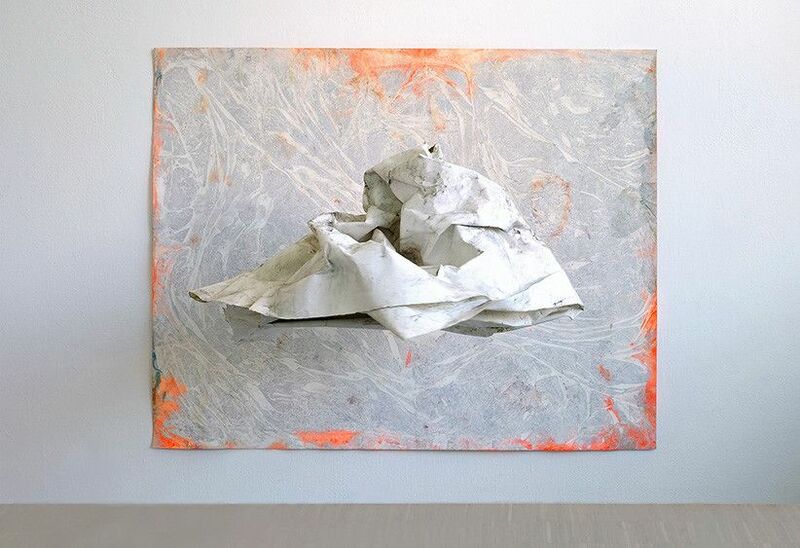 Alongside her two-dimensional work on paper and canvas, the painter uses paper to twist surface colours in space, changing their condition and that of their medium. Reifenberger arches, folds and twists her paper, fusing it with phosphor, neon, metal and dust pigments in different consistencies and combinations. The subject of the painting becomes gesture, light, space and material. The work deals with conditions, correspondences and the loss of control, investigating continuities, links, changes and exchanges among color, matter, and form. Reifenberger‘s work touches the world of baroque, the world of arabesques and the world of music, among others. In the tension between affinities and oppositions of material, and in her painting process — which works at once through development and intervention — Reifenberger’s pieces explore dynamics of closure and openness, movement and stillness, lightness and weight.